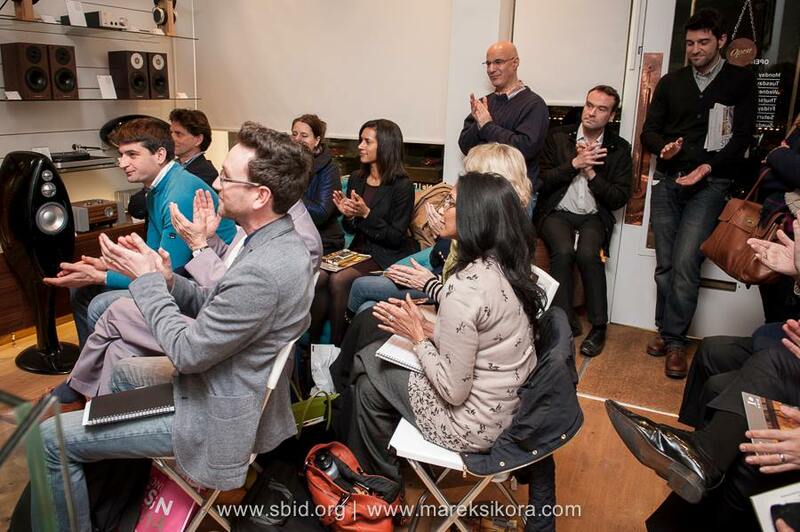 The Audio Lounge Showroom was filled with designers and architects wanting to know more about IP Law or get further clarity on their creative rights at this important and informative SBID accredited CPD event. IP or “Intellectual Property” right is a legal protection offered to protect the “creative ideas” of an artist, musicians, writers, designer, filmmakers or manufacturer so that no third party can use that idea. Chris Mc Leod from Squire Sanders UK LLP and first vice president of ITMA led the talk on the various methods by which our creative ideas and designs (intellectual property) are protected and the levels of protection offered by each. examples of events where infringement of their design ideas occurred and how they tackled them. Mrs. Cynthia Wilkinson told us that by taking action against people who copied their designs sent a strong message to deter others from doing the same. This allowed them to secure the exclusivity of their design in order to keep its authenticity and thus create a profitable business. Chris highlights that essentially there are UK registered designs; unregistered designs, copyrights, and EU design laws (also known as community registered design), which protect the works of allcreative people. He also briefly mentions trademark, which protects a business brand in the form of words, letters, logos, pictures, packaging, sound and smell. Carrying out the appropriate searches before registering a name, as a trademark will ensure that you are not infringing third party right. Copyright and Unregistered design rights are automatic rights that protect specific aspects of the designs. However in times of infringement it is usually difficult to prove the date when the design came into existence, and also if the third party produces a similar design without actually copying your design then there is no infringement. Registered Design give a well­‐defined protection for your design as compared to unregistered design or copy right. Once your design has been proved to be “novel” having “individual character” and has not been published then the UK design registry will register your design and offer protection for that design for 25 years. However there is a grace period of one year given following publication of the design by the designer. Community Registered Design offers clearly defined and strong protection through out the UK and European Union. to 30months after filing to stop your competitors form learning of it. Another advantage for a community registration is that as the European Union grows geographically then the community registered design protection will be even greater. This brief article highlights in a simplified way some of the important aspects of IP laws and you should seek professional advise before registering your designs. I would in future register my designs because in the long run it would give my brand exclusivity and it would save me a lot of money in legal costs since there will be strong evidence supporting my designs if an infringement occurred.